After his victorious return to WWE RAW last night, AJ Styles spoke to Cathy Kelly about what it was like to be back on the red brand. The main event of RAW last night was advertised to be Drew McIntyre, Baron Corbin and Bobby Lashley against Seth Rollins, Roman Reigns as well as a mystery partner. That mystery partner turned out to be none other than the 'Phenomenal One' who was returning to WWE's flagship show after almost 3 years. Reigns, Rollins and Styles did great as a team and the trio ended up with the win to close off RAW last night. It's going to be interesting to see Styles on RAW and there are a host of great matches and feuds waiting for him. Following the first night of the Superstar Shake-Up on RAW, Cathy Kelly caught up with AJ Styles backstage and asked the former WWE Champion what it was like to be back on RAW. "It's RAW. You know when the last time I was on RAW? Heck, I don't remember. That's how long ago it was. And now, RAW's going to be home for a while. Start stacking up those bricks and building up those walls because I'm going to make this my house too. It's going to be too sweet." 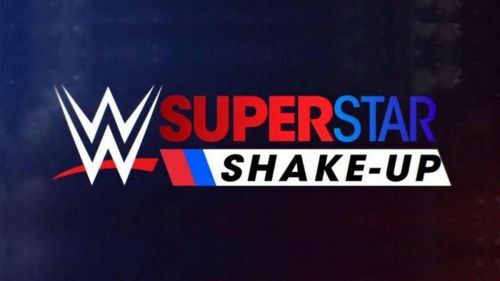 The International Superstar Shake-Up continues later tonight on SmackDown Live. Who will move to the blue brand later tonight?